The researchers at the United States’ Defense Advanced Research Projects Agency (DARPA) are geniuses – so far they’ve invented GPS, stealth technology, and the Internet. Now they’ve made a massive step forward in robotics by developing a cheetah bot that just shattered the world speed record for legged robots! Created by DARPA contractor Boston Dynamics, ‘Cheetah’ has broken the land speed record for a legged robot by running at a speed of 18 mph. That’s 4.9 mph faster than the former record, which was set back in 1989. The robot is named the Cheetah for obvious reasons – it was modeled on the African predator, and the team hopes that it will one day match its namesake’s ability to go from 0 to 62 mph in under 3 seconds. DARPA hope that the speedy robot will one day aid US troops in military operations. 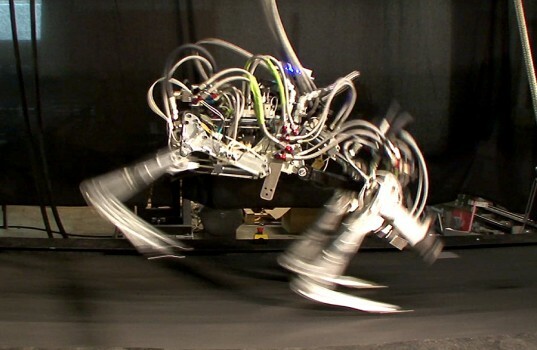 While the record was broken on a treadmill, the DARPA team hopes to test the robot in the field as soon as possible. In a statement, Alfred Rizzi, the firm’s chief robotics scientist, said: “We plan to get off the treadmill and into the field as soon as possible. We really want to understand what is possible for fast-moving robots.” The current design is dependent on an off-board hydraulic pump, but a free-running prototype is planned for later this year. The team also hopes to make the next model capable of ‘zigzagging’ in order to aid ‘chasing and evading’. Boston Dynamics has developed a number of other robots including PETMAN, BigDog, and Rise, which is based on a lizard and can climb walls by using micro-claws on its six feet and a tail for balance. 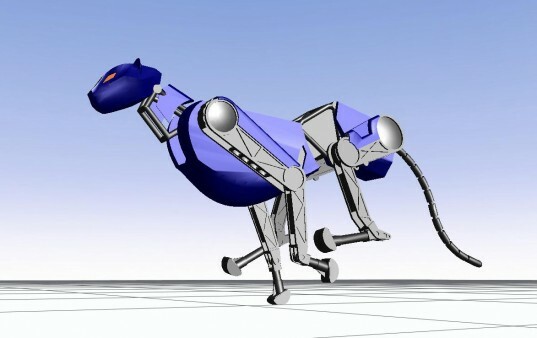 Click here to see the Cheetah Robot in action. I am interested in knowing more about ROBOTICS and its daily uses to mankind. The researchers at the United States' Defense Advanced Research Projects Agency (DARPA) are geniuses - so far they've invented GPS, stealth technology, and the Internet. Now they've made a massive step forward in robotics by developing a cheetah bot that just shattered the world speed record for legged robots!